A good book can be worth its weight in gold, especially if it’s related to personal finance! Whether you’re trying to get out of debt, start investing or just manage your money like a pro, it’s always worth looking to a financial expert or two to make sure you’re heading in the right direction. 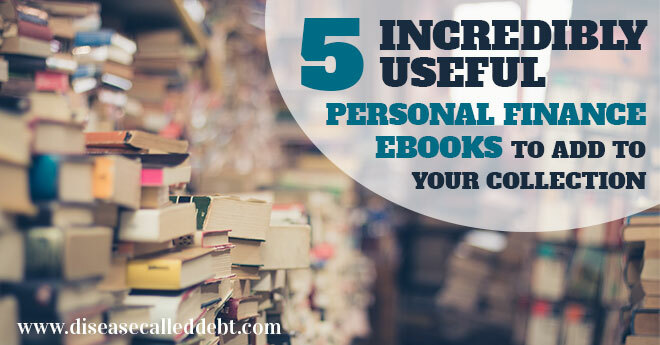 There are a whole heap of resources on the internet to help guide you on your path to personal finance success and of course, many great books to grab hold of and keep in your possession. 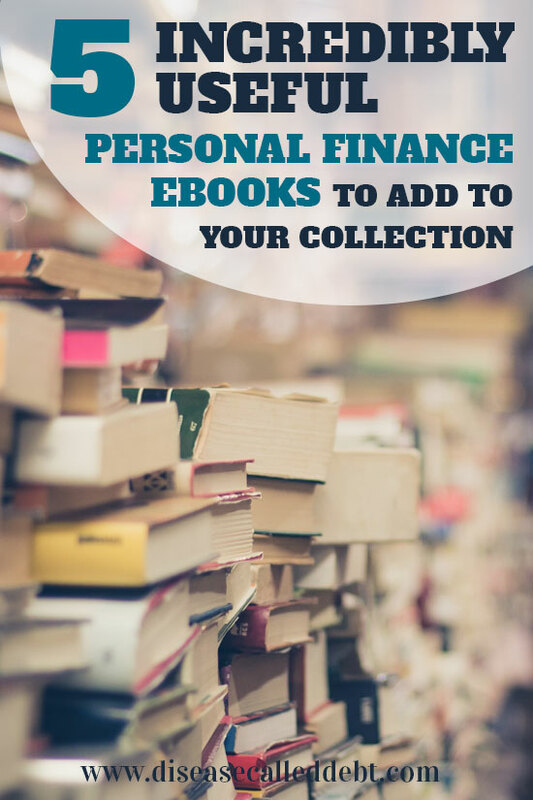 In case you’re wondering which books to check out, I’ve outlined 5 very useful personal finance eBooks below that have made it to the top of the Amazon Kindle bestsellers list today through selling an outstanding number of copies. Here they are in order of amazingness! At the top of the list is I Will Teach You To Be Rich by Ramit Sethi . This is a 6-week personal finance program which covers all aspects of personal finance – banking, saving, budgeting and investing. It’s aimed at 20-35 year olds who want to master their finances like a pro. You’ll find out how to negotiate like an Indian, budget without losing the will to live, understand taxes, the difference between being cheap and frugal and even how to get a CEO to take you out for lunch. At the time of writing this post, this book has 836 reviews and an overall rating of 4.5 stars. Definitely worth a read! If you’re thinking about investing, but haven’t actually started because it scares you, this book could be for you. If you’re already investing, but you’re not sure whether you’re doing it right, this book could help you see where you’re going wrong and teach you how to start putting it right. The author of this book, Jesse Mecham, is the owner of the company “You Need a Budget” which you may have already of. Jesse claims that when you’ve finished reading this book, you’ll know how to invest correctly and successfully. Other people think so too – this book has received 505 reviews and a 4.5 star rating! See Invest Like a Pro: A 10-Day Investing Course here. Robert T. Kiyosaki offers a revolutionary perspective on personal finance in his book, Rich Dad Poor Dad . He shares the story of how his real father (his poor dad) and the father of his best friend (who he calls his rich dad) influenced his life and shaped his thinking around money. This has been a bestselling book in the personal finance category for a long time now, having received over 5,200 great reviews so far. Robert challenges a number of myths about money, including how you don’t need a high income in order to become rich and why your house isn’t necessarily an asset. In addition, Robert explains why parents need to play an active part in teaching kids about money as they grow up. This is a powerful book to have in your possession! I’ve been meaning to check out Rich Dad Poor Dad for a while, so I’ve just ordered this on Kindle. I’ll be writing a full review on this in a later post, so watch this space! This is a straightforward book for regular people, who are finding themselves wishing their next payday was much sooner. How to Manage Your Money When You Don’t Have Any by Erik Wecks aims to give hope to even the most financially strapped of households. This book doesn’t have a focus on building wealth, instead it teaches how to do the best you can with the income you’ve got. If you’re struggling to make ends meet every month, this book could help guide you towards better financial stability. Mary Hunt is a personal finance expert, motivational speaker and the author of more than 23 books. The art of planning for retirement can be a complicated matter to get a handle on, so in The Smart Woman’s Guide to Planning for Retirement , Mary covers every aspect of retirement planning in an easy-to-understand and down to earth way. This is a jargon-free book which outlines six important strategies for retirement, including how to develop a money management system, get out of debt, maximise retirement accounts and build a personal investment portfolio. If you’re a woman looking to retire confidently, this is a must-read! It can take a while to change our financial habits and money mindset for the better. Sometimes, we need to hear or read something that makes us sit up and take notice in order to start making positive changes in our lives. For me, the turning point in my own finances was a few years ago when I read about the debt snowball method on the internet. Later, I read some useful advice from Dave Ramsey and I decided to then read his book, The Total Money Makeover. Not everyone agrees with Dave Ramsey’s approach to debt management, but I could definitely see the logic behind his advice. The old adage “knowledge is power” is certainly true when it comes to making improvements to your finances! Have you read any of these books before? What’s your opinion of them if so? *Affiliate links to books I recommend are contained in this post. Disease Called Debt is a participant in the Amazon Services LLC Associates Program, an affiliate advertising program designed to provide a means for sites to earn advertising fees by advertising and linking to amazon.com. These are really helpful! Be sure to read them! Great list! Although I’ve been to Ramit Sethi’s site many times, I’ve never read his book. Guess it’s time to add that to my reading list. I will keep this list in mind! I’ve gotten into the frugal habit of using a library card, and plan to commit my holiday to reading books on finance and investment. The only book I’ve read in this list was rich dad poor dad. It was probably in high school. It is def a book that should be incorporated in to schools. I will add the others books to my list though! Thanks for sharing. Rich Dad, Poor Dad was one of the first I read. It’s so sooooo easy to read. However, after gaining some more personal finance knowledge, I do think there were a few points where he didn’t really give the best information. That being said, it’s still a good read. I’m a huge fan of Ramit’s. I loved his book! I recommend pairing it with Tim Ferriss’s Four Hour Work Week. Ramit’s book has been on my list for a while but I keep getting distracted by other reading material – not all of it educational! Time to bump it up the list. Rich Dad, Poor Dad is brilliant for switching your mindset.